Your therapist Tracey is an experienced, multi-disciplined therapist, based in Dorking, Surrey. Tracey became interested in the Daoist philosophy which then led to her pursuing an interest in Traditional Chinese Medicine and subsequently a profession as a therapist so that she could help others to benefit from holistic way of treating the body and mind. Tracey began her professional studies in Complementary Medicine by completing an international Therapy Examination Council (ITEC) in Anatomy and Physiology & Swedish Massage Therapy. Tracey then went on to complete a Diploma in Thai Yogic Massage and Advanced Therapeutic Thai Massage in Chang Mai, Thailand, accredited by the Thailand Government. Tracey then completed a Reiki course in Queenstown, New Zealand. 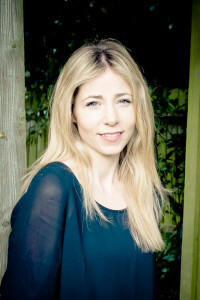 To further enhance her experience Tracey trained in Naturopathy at University level and then decided to specialise her training by completing a three year BSc (Hons) Degree in Acupuncture from the University of Westminster, giving her extensive knowledge in Western Medicine as well as Traditional Chinese Medicine. During her training, she practiced acupuncture at the University of Westminster’s polyclinic and the NHS Gateway clinic at Lambeth hospital. Tracey is a member of the British Acupuncture Council (BAcC). Tracey’s treatment approach is bespoke as she integrates all her skills and clinical experiences to tailor the most appropriate treatment for the individual needs of each Patient. Through a unique and holistic approach, her aim is to encourage the body’s self-healing process, optimising the client’s physical, emotional and spiritual wellbeing. Being a member of the BAcC, Tracey is required to regularly attend Continuous Professional Development courses (CPD) and adhere to strict codes of ethics and professionalism. Tracey currently works from home in Dorking as well at New Life Clinic, Epsom and The Body Tonic Health Clinic, Ashtead. Tracey has a summer house at her home address that she also works from in Beare Green, Dorking, Surrey RH5 4RB. Please call 07793451845 or email enquiries@acupunctureandnaturalhealth.co.uk for details of locations in these areas.